Product Claim: Get those brows on fleek with the FACES Ultime Pro Eyebrow Pencil. 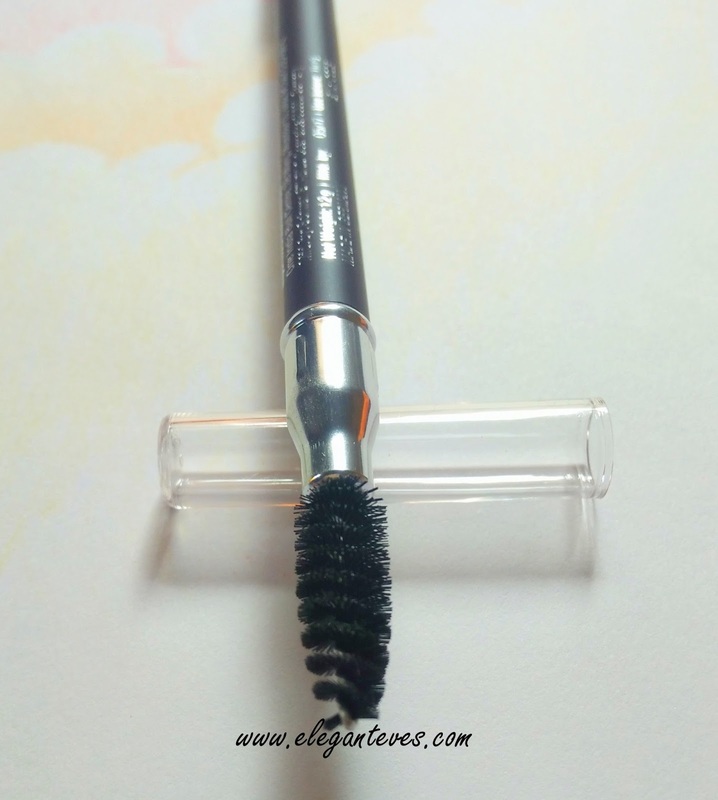 This eyebrow pencil glides on smoothly, defining your eyebrows impeccably. 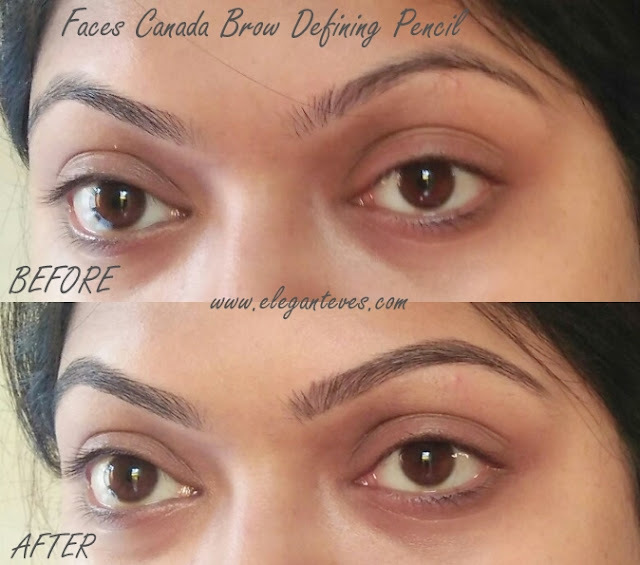 The non-transfer and long-lasting formula ensures your eyebrows stay fabulous all day long. Packaging: The pencil comes housed inside a matte black carton with silver lettering. It is a sharpenable pencil with a eyebrow spoolie brush at the other end. I found this very helpful as this means we do not have to carry extra spoolie brush with us when we travel. Also, since the brand claims that the pencil has a “gel finish” (almost pomade like), a brush is a necessity to brush off extra product and shape the brows after filling in the pigment. The bristles of the spoolie are somewhere between soft and hard- Not too soft, neither too hard. 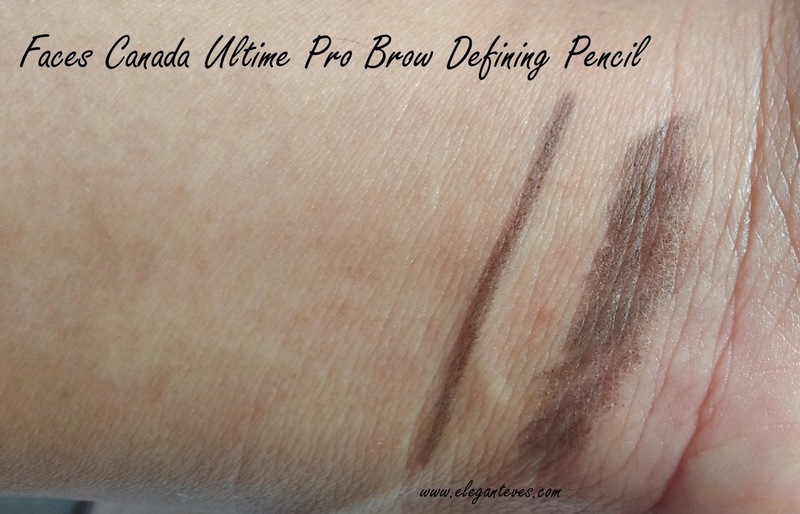 Shade and texture: The one thing which irked me is that there is only one shade available in this brow pencil: Brown. 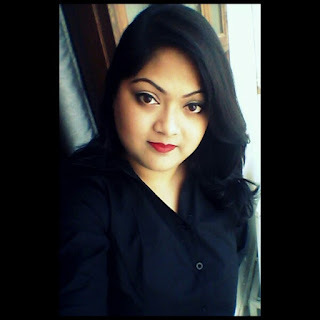 But it was a relief that the brown was not a warm brown like the Sivanna 3D Waterproof brows Secret (Read reviewHERE) which is not wearable on my skin tone at all. The Faces Ultime Pro Brow Defining Pencil is a cool-toned grey-ish brown which matches very well with my soft black sparse brow hair. This shade would work across most Indian complexion’s brow hair. 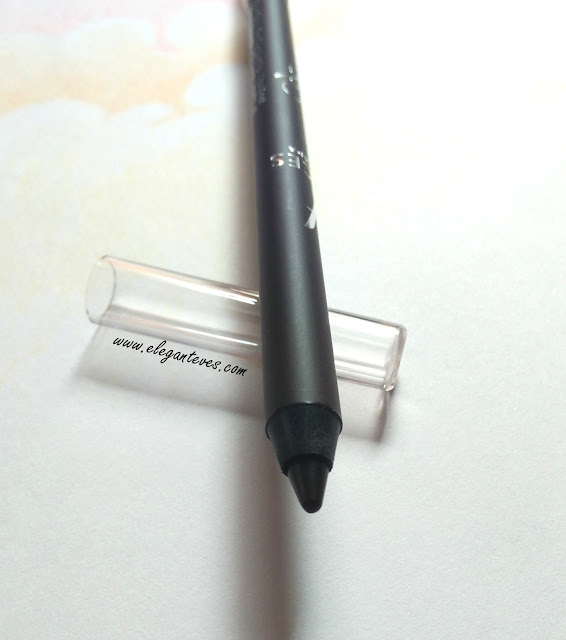 The texture is gel-like smooth pencil which can be a bit too much if not used light-handedly. This was the mistake I did the first time I used this pencil. 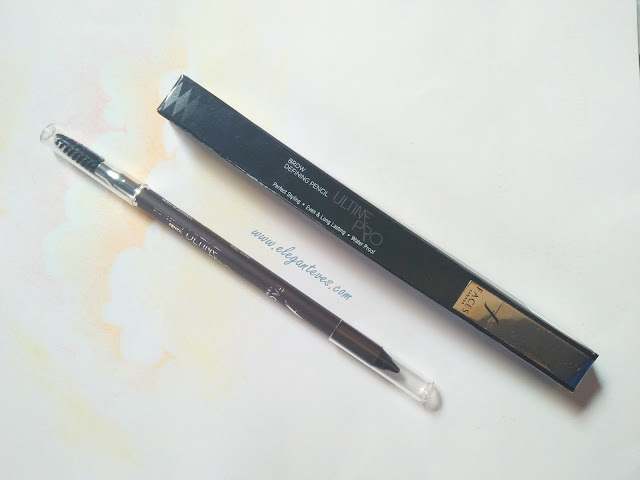 I used this pencil as I use other brow pencils with normal strokes and ended up depositing too much product on the brows leaving them with a “heavy” feeling. I was even disappointed that it turned out waxy. But I could correct this next time when I used it with very light-handed strokes and then brushing off the excess with the spoolie. The product took about 15-20 seconds to set and after that it was totally smudgeproof. I wore it for my baby shower function for 8 hours after which I used coconut oil to remove it. It had stayed intact during the time. I was extremely pleased at how natural yet “photo-friendly” my brows looked. I had threaded my eyebrows two days prior the function and the parlor lady just murdered my already thin brows. You can see the bald patches in the “Before” images below L Also notice how “naturally” the pencil filled everything up. Overall, I am extremely pleased with this easy-to-use, perfect shade and long staying eyebrow pencil. 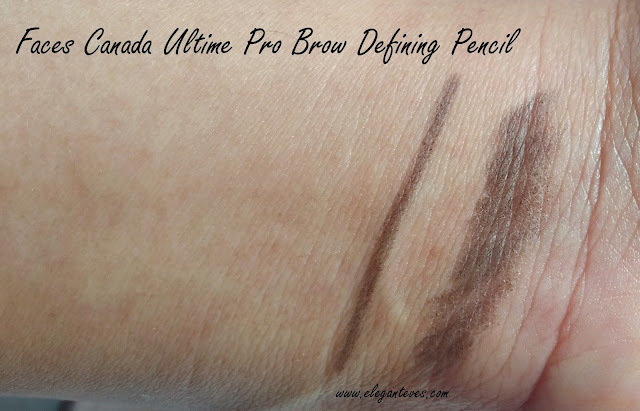 I would repurchase this if I do not get anything better the next time J Have you used Faces Ultime Pro Brow Defining Pencil? How was your experience?